DAVID is a mid-western man with a very urban sensibility. Originally from northeastern Wisconsin, this current Arts District resident creates abstract contemporary sculpture that is both whimsical in feeling and industrial in nature. His high-tech work involves fabrication of various materials including, but not limited to, wood, steel, porcelain, rope, stainless steel cable, rubber, and acrylic. Creating work in three sizes, he addresses collectors and clients on multiple levels, creating small desk top pieces, larger free-standing sculptures for rooms or commercial lobbies, and also grand scale public art. Read more about David under Prose/Artist Profiles. 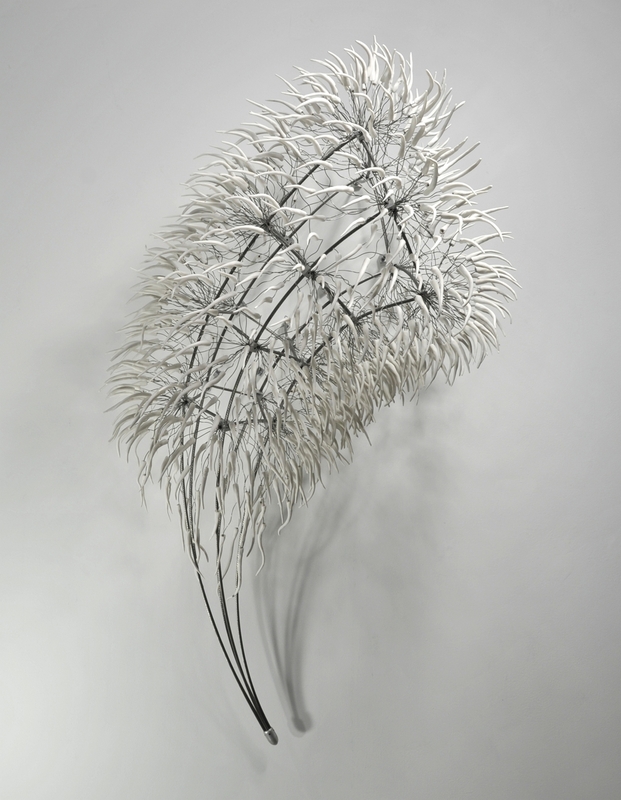 Thorn Cone, Porcelain, Stainless Steel, Steel, 42" x 66" x 34", $21,500. 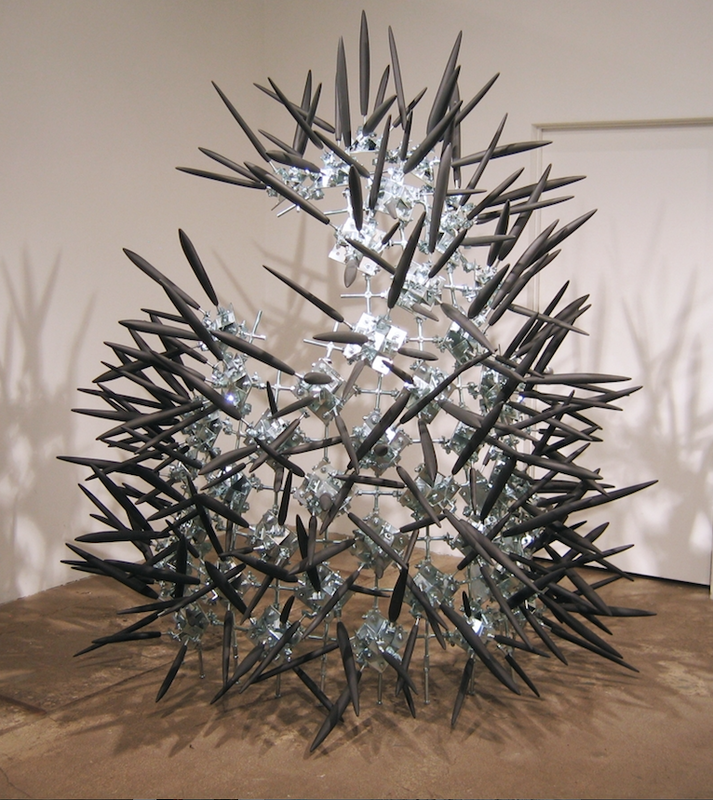 Thorn Fragment , Galvanized Steel, Engobe Cast Porcelain, 92" x 85" x 61", $34, 500. Flaming Dodecahedron, Engobe Cast Porcelain, Steel, Stainless Steel, 40" x 92" x 34", $54,500.